So recently in the Fighting Game Community, there’s been a big fuss about Catherine, a puzzle game with a seductive, but surprisingly mature storyline. In fact, much of the hype is due to a few friends of mine, and their hilarious streaming & commentary on their respective playthroughs of the game. Check ‘em out over at FinestKO. While I have yet to play the game for myself, for the past few weeks I have had the tunes from the game wafting through my head, seducing me much as the titular character entices the player. And I’m not the only one. 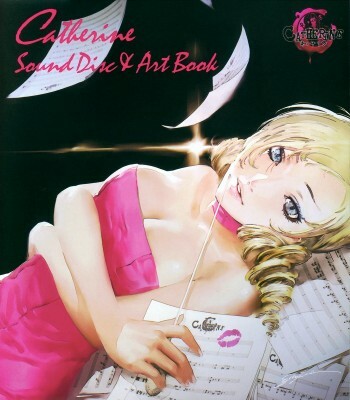 Many of my friends who normally find themselves singing along in Japanese to anime & game themes, or spinning glowsticks to House & Techno, have fallen captive to Catherine’s soundtrack. While game music garnering a cult following among gamers is nothing particularly new, what is interesting is that the songs heard during the gameplay sections of Catherine are all arranged versions of classical pieces. Old (and recognizable) standbys such as Handel’s “Hallelujah Chorus”, Chopin’s “Funeral March”, & pieces from Rossini’s “William Tell Overture” obviously have crossover value due to their introduction into popular culture through cartoons & television. But they are also joined by relatively unknown pieces by newer composers such as Borodin, Mussorgsky & Dvořák. While I can’t say I listen to classical music often, I can say that I do enjoy the genre, and that I’ve been introduced to many of these pieces beforehand. It’s awesome to see new life breathed into these pieces, so that they may find a wider audience, and perhaps even entice some to expand their musical horizons and listen to the music of some—as my friend put it— “old white guys in wigs”.